According to the Christmas carols, it’s a time of joy, peace and goodwill – so why do so many people suffer from anxiety at this time of year? When you stop to think about all the hype of the festive season, it’s not surprising even the most laid back person can become a little stressed! Money Worries – Finances have a habit of getting out of control at this time of year, with all the pressure to spend more, more, more. Many folk find themselves still paying for the previous Christmas, when the next one rolls around. Family Conflict – Christmas is a time for family. But just because you are family doesn’t mean you all get along, let alone enjoy each other's company! Add alcohol to the mix and it can be a recipe for disaster. Gift Anxiety – It’s hard work heading into the shops at this time of year, let alone coming up with the “perfect present”. If you’ve already bought and returned a gift, worried that it was “all wrong”, then you are suffering from a classic case of gift anxiety. Silly Season Stress – They don’t call it the “silly season” for nothing! Seeing all the end of year concerts, break up functions, parties, and work deadlines on your calendar, can be enough to trigger Christmas anxiety in the most organised of souls. Loneliness and Grief – If you’ve lost a loved one this year, you are probably feeling anxious about your first Christmas without them. And with one in three marriages ending in divorce in Australia, and one in four households having only a single occupant, it is easy to see how isolation and loneliness can affect many at this time of year. Remember, the “Perfect Christmas” is a myth. If you are bending over backwards trying to please everybody, and bogged down in a million tiny details, here’s a tip – there is no such thing as perfect. Aim instead for "good enough". It is More Blessed to Give than Receive. Reach out to others at this time of year. Is there some way you can bring a little Christmas cheer to a person in need? Discover the joy of giving! Share the Burden. Get family members to contribute their favourite festive dish, for a Christmas banquet without the stress. Or if you are the only one in your household preparing for Christmas, it's time to delegate! Question the Way Things are Done. Question why you are doing what you are doing. Just because that’s the way it’s always been done, doesn’t mean you have to keep it that way. If you are sick and tired of spending 2 hours in a traffic jam every Christmas Day, tell the relatives you'll catch up with them on Boxing Day instead. Be Mindful. Living in the moment reduces anxiety, as anxiety often occurs when we think (worry!) about the future. Instead, focus on the gift of each moment. 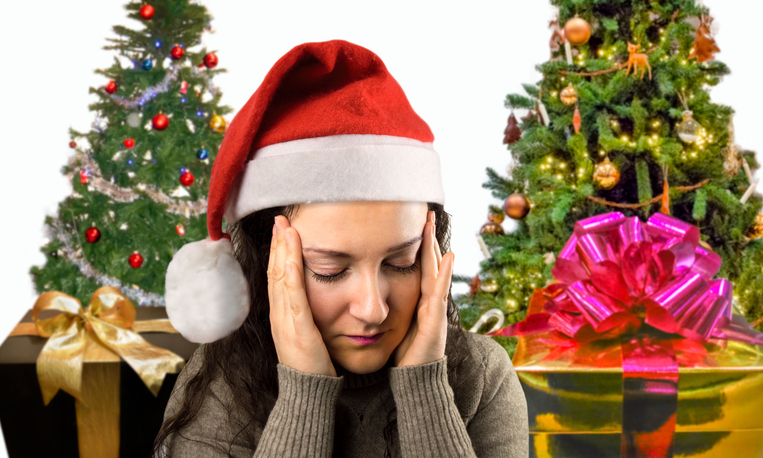 Finally, if you struggle with stress and anxiety at Christmas (or at any time of year), why not book a session with one of our Gold Coast Psychologists on (07) 55270 1234 - we'd love to help you with more strategies to put anxiety in its place!